On Friday January 14, 2011 PLEA Board members Dave Dager and Joe Clure met with Chief Jack Harris and Executive Asst. 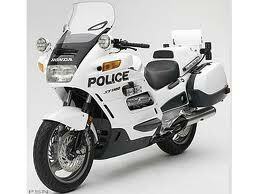 Chief Joe Yahner reference the Traffic Bureau’s motorcycle take home and redeployment issue. Chief Harris was very receptive to our issues and listened to our concerns. In working together we were able to come to a resolution on the issues and continue to keep motor take home. Keeping the motor take home will allow us to put a greater uniform presence on the street for a longer period of time, increase motor coverage in a time when there are less motor officers on the road, decrease the amount of overtime paid for all the Special Events that is incurred by motor officers which will offset the take home cost, and allow motor officers to get back to supporting patrol officers. PLEA would also like to acknowledge and thank Commander Joe Klima, Lt. Brian Lee, and Lt. Pat Hofmann for all of the work they put into the resolution of this issue.